Being the first of anything is matter of great opportunity and adversity. But this line is so hackneyed that it barely registers on us – who are on the cusp of something special, that we’re not yet gripped by the fear of squandering it all away. Being the first batch of an IIM is matter of great responsibility more than anything and I have this niggling feeling that more than all the stats & achievements, it is our legacy that will truly endure and it behooves us to behave in a way that befits the standard-bearers of this potentially great institution – hence we have to stay classy. Fortunately enough, our IIM has started off in a great way, in no small part due to the efforts of our illustrious director and his team. Their enthusiasm and participation has been infectious and it has us stoked for the future. Most of us have chosen this institute over other well-established institutes for a simple reason – it’s an IIM! Now, what does this entail? According to me, the IIM’s have an x-factor, an aura around them which sets them apart. Aside from the fact that they have the best course-work, faculty and placements, IIM’s are unique because of their unique students and culture. But this is our handicap – we have nothing to fall back on, no one to learn from. While each one of us is capable of greatness, it’s more important to this institute than any that we call upon all the forces in our command to carve out a unique image for ourselves – one that oozes class. Now to the word I am excessively fascinated by – “Class”, while there are many meanings, I’d like to assert the following two – “People having the same social, economic, or educational status” and “Elegance in dress or behaviour”. We are going to be the privileged persons who will be bestowed with an educational status, not just any education, but the best we can find in India and the world. Let there be no doubt about this. There is a sloka in Sanskrit – “Vidya dadaati vinayam”, which means education begets humility. This nicely dovetails into the next definition of “Class” that is the elegance of behaviour. The onus is us to be the best we can be in terms of education and behaviour – the two things that’ll define us and our institute for the rest of our lives. Added to these factors, we are also beset by the responsibility of being the role models for the thousands of undergraduate students who will be arriving shortly. While fraternizing with them is not only necessary, it is absolutely essential. But we should conduct ourselves in a way that inspires them to emulate us, to reach the same plane as us and if it is not too presumptuous of me – hold us in wonder and amazement. We, of an IIM have a class, a standard to adhere to and this should show in our every action – be it the democratic formation of committees or our academic performances or our creative activities. At the end of the day, we want ourselves and the institute to transform into something we will be extremely proud of and we – the first batch have the greatest of honors to be the ones setting the trends. And at least for this reason alone – we must stay classy. 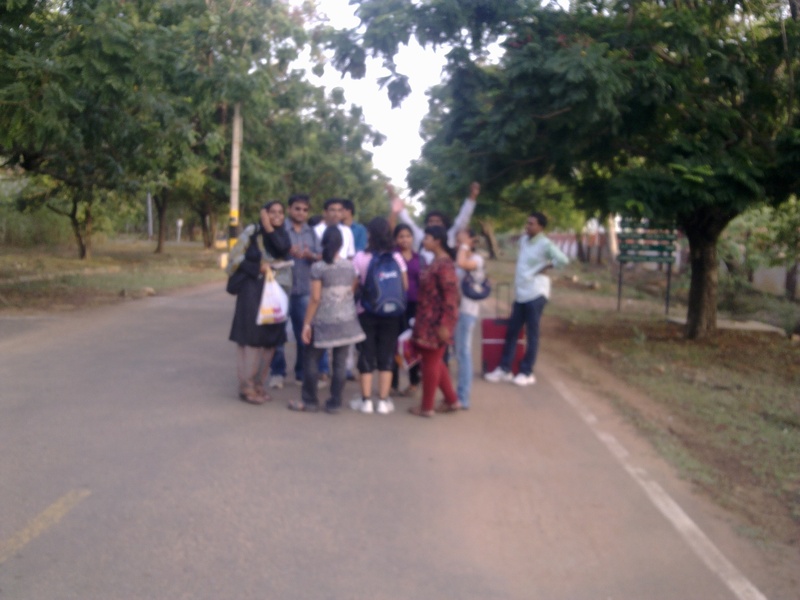 This entry was posted in Opinions, Shishir Bhat and tagged Class, IIMT. Bookmark the permalink. The article was awesome with exceptional usage of the vocabulary. Thanks Phani. I hope you will also contribute lots, after all this is for posterity.